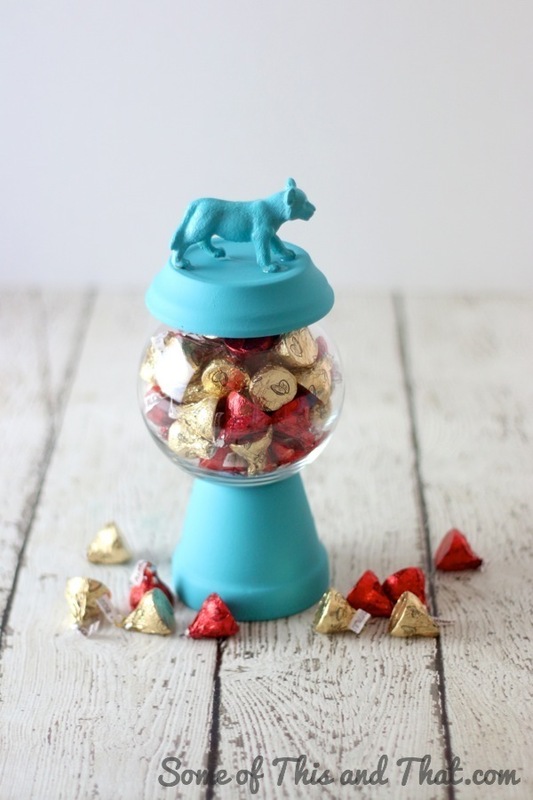 DIY Gumball Inspired Candy Jar! Who does not love candy? I do not have a sweet tooth, I have a sweet sweet mouth! 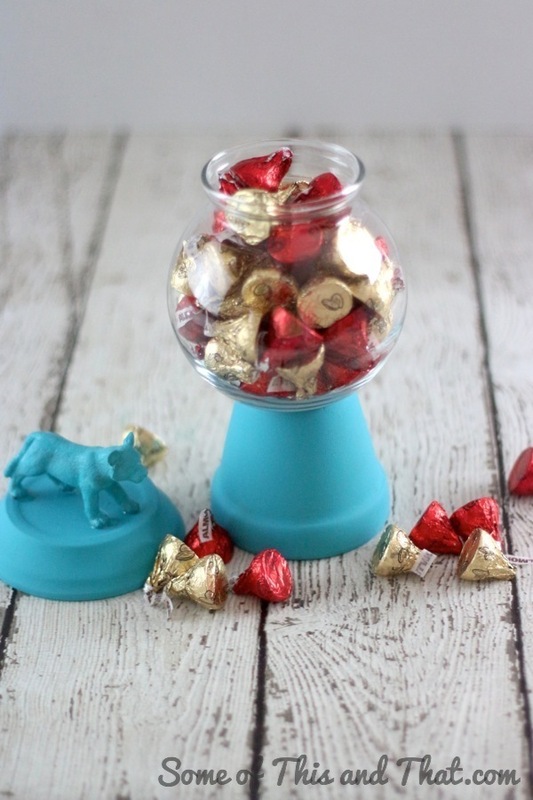 Since moving into my own office, I wanted to have something that I could store some yummy treats that were easily accessible, so with some trial and error I made this cute DIY Gumball inspired candy jar! Now I have my own secret stash of yummy goodness right at my fingertips! These also make for great teachers gifts and cost less than $5 to make! The kids even made their own for reward jars. Everything I needed I found at my local craft store (excluding the candy). The little terra cotta pots and the glass bowl were both found right next to each other in the floral department. Check out the video below to see how I made this super easy and inexpensive DIY Gumball inspired candy jar! Do you have a sweet tooth? If so, what is your favorite treat? Previous Post: « DIY Shower Soothers! Congestion Relief!